CWS is always looking for talented and committed people to work with us in our Christchurch office. CWS is committed to a diverse and skilled workforce. CWS does not have overseas-based staff. CWS supports local people to undertake their own development programmes as they are best placed to identify needs and strategies. This builds local expertise and ensures funding is spent in and for the community and not returned to New Zealand through salaries. 1. Coordinate Operation Refugee. A peer to peer fundraising programme, whereby people are sponsored to live on the rations of a refugee for 5 days and/or are sponsored for the number of steps or kilometres they walk over 5 days. 2. Promote the work of CWS to partner churches and the schools affiliated to them. The ideal person will have a proven track record in sales and/or marketing and experience of working within ecumenical settings and with denominational networks, preferably in New Zealand. Be proficient in the use of Microsoft software with database skills, particularly Raiser’s Edge, an advantage. Experience in peer to peer fundraising would also be an advantage. It is a full time fixed term position for six months. The position has the potential of becoming a permanent job. It is based in Auckland with regular travel within New Zealand. CWS is the justice, aid, and development agency of New Zealand churches. It works with local partners in developing countries and provides assistance when disasters strike. CWS advocates for action on poverty, peace and justice. It respects and responds to need regardless of race or religion. We welcome applications from people from all sections of the community, irrespective of race, colour, gender, age, disability, sexual orientation, religion or belief. Job description and conditions of employment can be obtained from Sarah Wewege phone 03 366 9274. Applications are due by Monday 8 April 2019. CWS is supported by a large number of volunteers. Many help in the Christchurch office doing specialist tasks or working as part of a team on our regular major mailouts. We also have volunteers who represent us in their parishes and communities throughout the country. There is always room for one more. Please contact us if you would like to work as a CWS volunteer in the National office or in your local area. CWS supports the Living Wage and is an accredited Living Wage Employer. All workers should be paid enough to cover food, housing, transportation, and childcare. 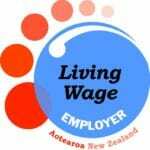 The Living Wage is reviewed annually.